It’s just part of the summer ritual, right? Baseball games, apple pie, watermelon, water activities and a good old-fashioned sunburn. For those of us that are used to triple-digit summers, we are all too familiar with the high probability of having to deal with a painful sunburn. While sunburn might be an accepted tradition in some circles, it’s not one you want to perpetuate. The stakes for sunburn are even higher now than they were years ago, and it can cause you a lot more trouble down the road than just a bad case of peeling. 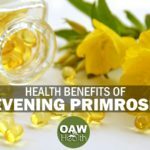 Of course, we need a certain amount of sunshine to stay well and for Vitamin D production, but the dangers of overexposure to the sun are many, so it’s very necessary to learn as much as possible about how to avoid the potential health issues associated with sunburn as well as how to implement natural sunburn relief when necessary. Natural Sunburn Relief: What is Sunburn? Sunburn is damage to the skin resulting from too much exposure to the ultraviolet (UV) rays of the sun. That nuclear-powered ball of fire we call the sun may be 96 million miles from Earth, but it puts out a mind-boggling amount of energy in the form of radiation. Much of it is in the form of three types of UV light: UVA, UVB, and UVC. We don’t have to be concerned with the UVC, as it is not able to penetrate the atmosphere. But the same sunshine that makes life on this planet possible brings with it the danger of exposing ourselves to too much UVA and UVB. When this occurs our skin and other organs such as our eyes become susceptible to premature aging, as well as more serious disorders such as skin cancer and eye damage. Due to deterioration of the ozone layer, the risk for sunburn is even greater now than it was in previous generations. The answer is not to avoid sunlight altogether, because we are designed to need regular, limited time in the sun. Like most things in life, we just need to learn how to do it safely and in moderation. Natural Sunburn Relief: What Are the Symptoms of Sunburn? There may be no signs of sunburn until a few hours after exposure, or it may take several days to determine the extent of sunburn, especially in extreme cases. Sunburn is generally categorized into three basic degrees: mild, moderate, and severe. Mild sunburn may be accompanied by a pink or red tinge to the skin, along with skin that feels warm or hot to the touch. Moderate sunburn may also exhibit swelling and blisters, which may break open, on the affected areas. Severe sunburn will show all of these symptoms to a higher degree, along with possible fever, chills, headache, and fatigue, depending on what parts of the body got burned. Sunstroke can also occur in severe cases, which can lead to vomiting, fainting and shock, which can be very dangerous and even life threatening. Sunburn can affect any part of the body, and often the worst cases are on places where the sun does not usually shine, such as the soles of your feet, your palms, or other sensitive areas such as your scalp, lips or ear lobes. Your eyes and/or eyelids can also sustain sunburn, and it may cause a painful, gritty feeling in your eyes and surrounding areas. In most cases, except the most severe, sunburn pain usually peaks at its worst in a couple of days. Peeling often occurs, which is the body’s way of starting to heal the damage by first shedding the dead skin cells of the skin’s outermost layer. For several days or even weeks your skin will have an uneven texture and various color patterns as it seeks to restore itself. Repeated sunburns cause exponential damage to the skin, and it takes longer each time to heal itself. Natural Sunburn Relief: What Causes Sunburn? Ultraviolet rays will destroy the cells in the outer layer of skin if you allow yourself to get too much sun in one sitting, or at the wrong time of the day. This results in damage to the tiny blood vessels just underneath the outer skin. When these blood vessels dilate in response to the sunburn, they leak fluid. At that point the cells stop making certain protective proteins, and the DNA of the skin becomes damaged. DNA damage, especially when repeated, is what opens us up to more dangerous skin conditions such as skin cancer. The body will react to sunburn by increasing the amount of melanin it produces. Melanin is a dark pigment of the skin that determines the color of your skin. Light-skinned people have less melanin, and dark-skinned people have more. But the body can only go so far. Depending on your skin type and color, your body can only produce a limited amount or melanin to help protect your skin from sun damage. The immune system also plays a role in sunburn. The initial damage causes the immune system to target the damaged skin as a foreign invader. The body has a mechanism in place to keep the immune system from turning on healthy skin, but when it restrains itself from attacking healthy skin, it sometimes can’t differentiate between good skin cells and any malignant ones that might be present. Therefore it often will not seek and destroy these cancerous cells. Certain factors make some people more susceptible to sunburn than others. The main one is the type of skin you have. Dermatologists have come up with a rating system that differentiates between six “skin types.” The lower the number, the less pigment (melanin) you have or are able to produce, and thus your risk for skin damage from the sun is greater. The opposite is also true. If you have Type 5 or 6 skin (brown or black), your risk for skin damage is decreased, but not eliminated. Dark-skinned people can still get sunburn and other skin disorders from too much unprotected sunlight, especially in areas of less pigmentation such as soles, palms, or fingers. Living at higher elevations, where the air is thinner and more UV light is able to penetrate. Living in hot, sunny climates. The closer to the equator you are, the more intense the effects of the sun. Being near reflective surfaces such as water, snow, ice, or sand will increase the intensity of UV rays as well. Being in the sun during peak hours, typically between 10 am and 4pm. Try to avoid prolonged exposure during these hours. Cloudy days can be deceiving. Up to 90% of UV rays can penetrate clouds, and you may be less careful on cloudy days, thinking your risk of sunburn is minimal. 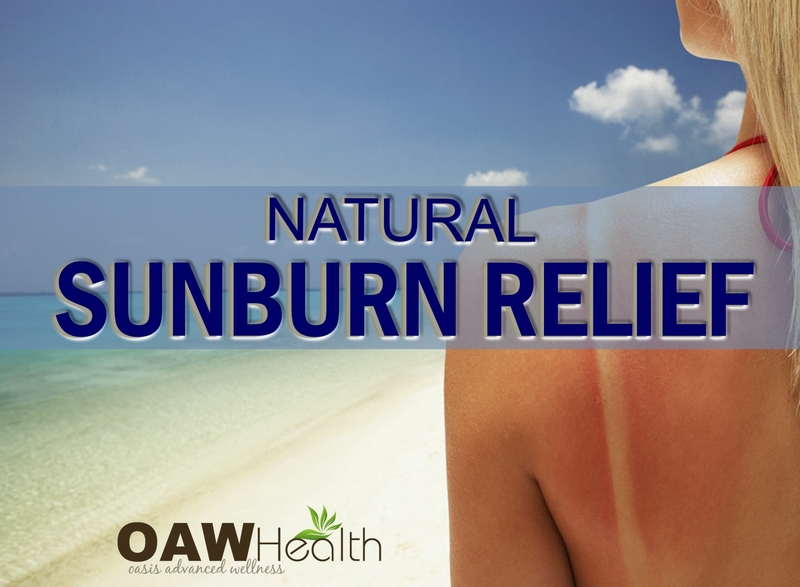 Natural Sunburn Relief: What Complications Can Occur Due to Sunburn? Skin Cancer: Even one moderate to severe sunburn, especially if the subject is a child or teen, can greatly increase the chance of developing skin cancer. Skin cancer is a huge concern in the United States. An estimated one million cases occur annually, and about 7,300 Americans per year die from the worst kind of skin cancer, malignant melanoma. Skin cancer can result from DNA damage to the skin by repeated overexposure to the sun. There are different types of skin cancer, some benign and some malignant. 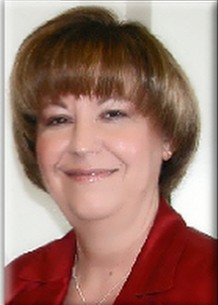 But any type of skin cancer can change over time and become dangerously malignant. Be especially concerned if you notice any new skin growth patterns, or changes in existing moles or other blemishes. Most skin cancer develops on areas of the body that have maximum exposure to the sun such as the face, lips, neck, arms, hands, and on the legs, especially of women. Actinic keratoses: This precancerous condition, also called solar keratoses, can and sometimes does evolve into skin cancer. It is characterized by patches of rough scaly skin that vary in color from pinkish to dark brown. It is more common in fair-skinned people. Eye damage: Your eyes can actually get “sunburned” as well as your skin. UV rays can damage your retina as well as the lens of your eye. If the lens is damaged by the sun, it can lead to an increased risk for cataracts. Blood poisoning, which often exhibits red streaks that run along your arm or leg. Blood poisoning can be potentially serious, and has even been fatal in some cases if infection spreads throughout the whole body via the bloodstream. Freckles, mostly on your face and shoulders. “Liver spots,” or brown lesions (macules) on your hands, face, arms and other areas. White macules on your lower legs and arms. Natural Sunburn Relief: How Can I Prevent Sunburn? Prevention, of course, is the best way to go when it comes to all wellness issues, including sunburn. Preventing sunburn is just plain common sense. Stay out of the sun at peak times of the day. If you must be out, wear protective clothing and stay in the shade whenever possible. Be especially careful if you are in or near water or other reflective surfaces, as this intensifies the effects of the sun. Remember that you can experience sun damage at any season of the year. Healthy diet. That’s right, the foods that you consume can have an effect on sunburn prevention. “A fascinating study about sunburn protection from two antioxidant-rich foods -olive oil and tomato – was carried out by a team of German researchers with impressive results. Half of all subjects in the study consumed 10 grams of olive oil (about 2 teaspoons) and 40 grams (about 1/4 cup) of tomato paste daily for 10 weeks, in addition to a controlled diet. The other half did not receive this additional tomato paste and olive oil. Prior to the diet changes, researchers measured the amount of sunlamp exposure it would take to produce reddening on a small patch of skin on the back of each subject. The minimum required amount was determined individually for each subject. As the study moved along, the amount of skin reddening in all subjects was measured by giving each subject 125% of the minimum sunlamp exposure required for reddening. By the end of the study, individuals whose diets included the tomato paste and olive oil were experiencing 35% less reddening than regular diet-only group.” (http://whfoods.org/genpage.php?tname=george&dbid=144) Foods that provide anti-oxidants and phytonutrients are: bell peppers, broccoli, papaya, Brussels sprouts, strawberries, pomegranates, sunflower seeds, almonds, olives, dark green leafy vegetables, mushrooms and different types of fish such as cod, shrimp, tuna, snapper, halibut, and salmon. Buying wild (versus farmed) fish is highly recommended because pesticide and antibiotic residues in farmed fish can have an unwanted effect on your antioxidant supplies and partly (but never totally) offset the benefits of these fish for sunburn protection. As for all of the plant foods above, certified organic foods or locally grown foods using organic standards are your best choice for the exact same reason. MegaHydrate. MegaHydrate is a powerful antioxidant that helps with whole body hydration as well as hydrating the skin. It is also considered anti-aging which is an added plus! Many people report that, when taken in therapeutic amounts as a supplement, MegaHydrate seems to help with sunburn prevention. 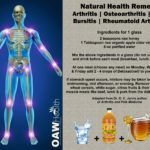 The National Cancer Institute has stated that preliminary research in lab animals has shown that “antioxidants help prevent the free radical damage that is associated with cancer.” (National Institutes of Health. Antioxidants and cancer prevention: fact sheet. National Cancer Institute. 2004 July 28.) Many experts believe that increased antioxidants in the body can also help slow the advancement of the aging process, and may actually increase longevity. If you do experience a sunburn, below are some safe and natural sunburn relief remedies that can soothe the pain and aid the natural healing process. Cold fruit slices. Some like putting slices of apple, cucumber, or potato peels onto the affected areas. Baking Soda Paste | Makes ¼ cup. Ingredients: ¼ cup Baking Soda; 1 ½ – 2 TBSP Lavender or Chamomile Flower Water;5 drops Lavender essential oil. Mix all ingredients until a medium thick paste forms, apply gently to the skin and allow to dry. Once finished, rinse off carefully without irritating sunburned skin. Aloe Vera Sunburn Relief | Makes 4 ounces. Ingredients: 4 oz Organic 18x Aloe Vera Juice; 15 drops Lavender essential oil; 10 drops Full Spectrum Vitamin E; 5 drops Calendula essential oil; 2-5 drops Peppermint essential oil. Mix all ingredients, and apply to the skin as often as desired. Store in refrigerator to increase the cooling effect. Lavender Healing Oil | Makes 4 ounces. Ingredients: 4 oz Organic Jojoba Oil; 20 drops Lavender essential oil; 10 drops Full Spectrum Vitamin E. Mix all ingredients in a bottle, and apply as needed. Perfect for using after an oatmeal or baking soda bath! Use this oil after the sunburn has begun to heal, applying a carrier oil to a fresh burn may increase the heat and discomfort. Chamomile After-Sun Spray | Makes 4 ounces. Ingredients: 2 oz Organic 18x Aloe Vera Juice; 2 oz Chamomile Flower Water (Hydrosol); 5 drops Chamomile essential oil. Mix all ingredients, pour into a spray bottle, and apply to the skin as often as desired. Store in refrigerator to increase the cooling effect. Oatmeal Bath. Grind up a cup of organic oatmeal in a food processor, add it to a cool bathtub of purified water, and soak. You can also wrap dry oatmeal in cheesecloth or gauze, run cool water through it, then toss the oatmeal. Soak compresses in the liquid, applying every 2 to 4 hours. Colloidal Silver. Spray colloidal silver on sunburns. It can help reduce pain and prevent the skin from peeling. Colloidal Silver is used in burn units. It has been found to promote the healing process of burned skin and fight secondary infection including the antibiotic resistant MRSA. I suggest and personally use ACS 200 Advanced Cellular Silver® Extra Strength. Epsom salts & Baking soda Bath. Into a cool bath (purified water) put 1 cup Epsom salts and 1 cup Baking soda. Tea Compresses. The tannic acid from tea is soothing for painful burns. Steep a large pot of very strong tea using 4–6 organic tea bags. Refrigerate until it’s cold then soak small towels in the tea and apply to sunburn. You can also spray the cold tea on skin. The tea may stain the towels, using old towels is advised. HydraTone Calming Mist. 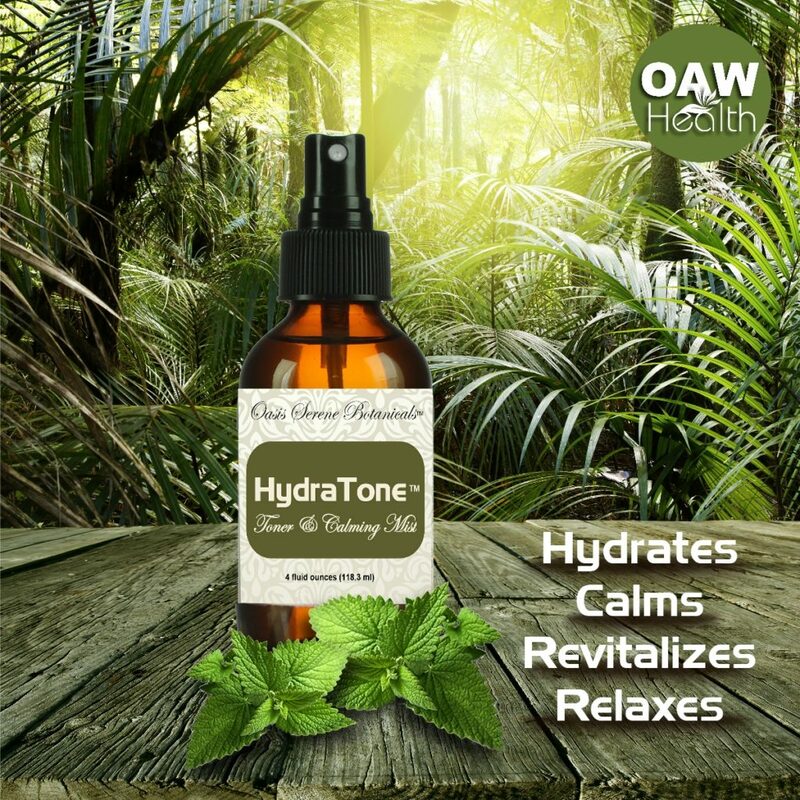 HydraTone Calming Mist is an all natural blend of Purified Water, Olive Leaf Extract, Aloe Vera Extract, Witch Hazel Extract, Japanese Green Tea Extract, Chamomile Extract, Vegetable Glycerin, Protein Amino Acids, Grapefruit Seed Extract, Lemongrass Oil, Chlorophyllin, Essential Oil Natural Scent (Mandarin Orange Oil, Essential Oils of Lavender and Chamomile). Refrigerate until cool and spray on sunburn as needed. Hydration. Above be sure to stay hydrated with cool, purified water and a pinch of Himalayan Crystal Salt. Drink 8-ounces of water/salt combination every hour to keep the skin cool and hydrated as well as to add necessary minerals to the body. See info about MegaHydrate above. Have your fun in the sun, but do it in moderation with a common sense approach. Sunlight is good for us, supplies necessary Vitamin D that helps to heal and repair the body. Be sun smart, don’t over do it and get too much of a good thing. 30-45 minutes of sun before 10:00 AM or after 4:00 PM is beneficial and safe and best of all healing to the body.